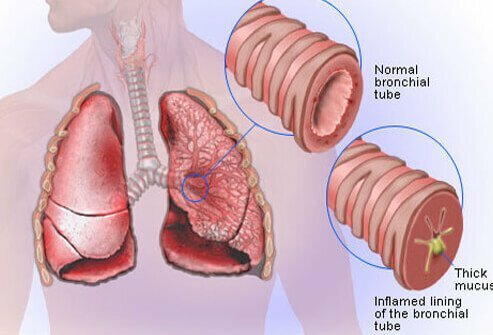 What is nontuberculous mycobacterial (NTM) lung disease? Where are nontuberculous mycobacteria (NTM)? Where are they found? Is nontuberculous mycobacterial lung (NTM) disease contagious? What are the signs and symptoms of nontuberculous mycobacteria (NTM) lung infections? Who gets nontuberculous mycobacterial (NTM) lung disease? What are the most common types of NTM? How is nontuberculous mycobacterial (NTM) lung disease diagnosed? What are the treatment guidelines for nontuberculous mycobacteria (NTM) lung disease? What are the side effects of nontuberculous mycobacterial (NTM) infection treatment ? Can nontuberculous mycobacteria (NTM) disease be cured? What is the life expectancy for nontuberculous mycobacteria (NTM) lung disease? What are the complications of nontuberculous mycobacteria (NTM) lung disease? Can nontuberculous mycobacterial (NTM) lung disease be prevented? Nontuberculous mycobacteria (NTM ) are bacteria that are found widespread in water, soil, and the air that we breathe. 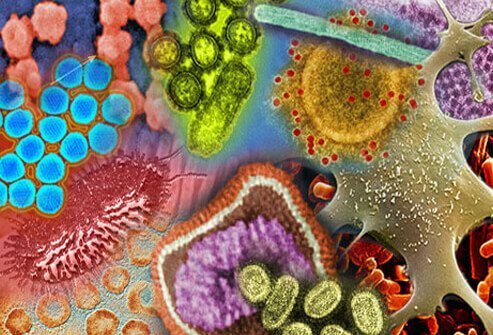 There have been more than 150 species of nontuberculous mycobacteria (NTM) identified. Not all people with a nontuberculous mycobacterial lung infection need to be treated. The most common type of nontuberculous mycobacterial lung infection that causes pulmonary disease in the United States are due to the group of bacteria in the M. avium complex (MAC). Nontuberculous mycobacterial lung infections are rare, and may require prolonged antibiotic treatment, sometimes for two years or more. Overall, both by imaging and symptoms, NTM lung disease resembles tuberculosis however the symptoms are less severe. In some people with NTM disease, there may be significant lung destruction, which could may need treatment. Mycobacteria can cause either tuberculosis or non-tuberculosis lung disease. Tuberculosis specifically is a contagious disease transmitted from person to person when droplets of phlegm infected with tuberculosis are inhaled while nontuberculous mycobacteria are for the most part noncontagious and are common in the environment. The isolation and presence of nontuberculous mycobacterial lung disease (NTM) from the lungs does not necessarily indicate an active disease process that needs aggressive treatment. What is more important is to distinguish is a temporary colonization of NTM from true infection because true NTM infection can ultimately cause progressive lung disease. The incidence and prevalence of no-tuberculosis mycobacterial lung disease has increased in recent years likely due to improved methods of diagnosis as well as increased awareness by healthcare professionals. Nontuberculous mycobacteria (NTM) are a collection of environmental bacteria found widespread throughout the environment, and typically are found in water (for example, marshlands, streams, rivers, and estuaries), soil, or dispersed in the air we breathe. Although related to other mycobacteria that can cause disease, these NTM specifically do not cause tuberculosis or leprosy. NTM can cause infections in the lungs, sinuses, lymph nodes, joints, and central nervous system. NTM either can infiltrate and live in the lungs without causing symptoms, signs, or any specific lung disease, or it can cause progressive inflammatory lung disease and destruction. NTM lung infection in humans is predominantly due to environmental exposures so human-to-human or animal-to-human transmission is very rare, unlike other contagious mycobacterial diseases such as tuberculosis and leprosy. One specific group of individuals who are at a known risk of human-to-human transmission are those with underlying cystic fibrosis. Apart from this specific subset of individuals, there is no evidence of human-to-human contact of any other NTM species. What Is Causing Your Chronic Cough? A chronic cough is a cough that persists over time. Causes of chronic cough include smoking, asthma, hay fever, sinus problems, chronic obstructive pulmonary disease (COPD), chronic bronchitis, GERD, cystic fibrosis, and nontuberculous mycobacterial (NTM) lung disease. As NTM disease progresses, there may be a loss of appetite or weight, fevers, or night sweats. NTM lung infection often is difficult to diagnose because symptoms are similar to those of other lung diseases such as chronic obstructive pulmonary disease, (COPD) bronchiectasis, or cystic fibrosis. Risk factors nontuberculous pulmonary disease vary because there are environmental related risk factors, and risk factors related to specific individuals. Environmental related risk factors: Certain activities can increase the risk of acquiring NTM lung disease because nontuberculous mycobacteria frequently are found in water, soil, and dispersed in the air. Examples of specific exposures to NTM lung infection include swimming (water), gardening (soil), or using hot tubs (air). Individual related risk factors: People with certain underlying lung disease, for example, chronic obstructive pulmonary disease (COPD), cystic fibrosis, or asthma, may be predisposed to NTM infections due and impaired ability to clear the initial exposure. Moreover, people who have underlying immunodeficiency (such as HIV or AIDS) or are on immunosuppressant agents (antibiotics, chemotherapy, or corticosteroids) are at an increased risk of developing NTM pulmonary disease. Nontuberculous mycobacteria are divided into slow-growing and rapid-growing species. Since the most common group of NTM that cause pulmonary disease in the US are slow growing M. avium complex (MAC), the remainder of this information will focus on this specific group of bacteria, which can lead to significant disease, and death. To identify nontuberculous mycobacterial pulmonary disease, the patient must meet the following criteria. Characteristic symptoms consistent with pulmonary NTM disease in addition to either a chest X-ray or high-resolution CT scan of the chest with appropriate findings to suggest NTM. Exclude any alternative diseases that may explain symptoms or imaging findings. A biopsy of the lung tissue compatible with a diagnosis of NTM under the microscope as well as a positive culture growing the NTM bacteria showing NTM positivity. One study in Japan showed that 2% of the patients with a single positive culture developed progressive disease compared with 98% of the patients who progressed to extensive lung disease when the individual had one or more positive cultures of NTM. Therefore, it is important to differentiate mere isolation of bacteria (with no true disease) with actual NTM pulmonary disease. Treatment of NTM pulmonary disease typically requires a combination of antibiotic therapies depending on the severity of symptoms. A usual regimen consists of between three and five different antibiotics. Individuals with mild to moderate disease typically can be treated with an intermittent regimen of antibiotics daily or three times per week. Severe NTM disease may require daily antibiotic therapy. Moreover, some individuals may need injectable intravenous (IV) medication. If injectable medication is not practical or is contraindicated due to an underlying medical condition or allergy, nebulized medication may be used instead. Most importantly, monotherapy with a single antibiotic or dual therapy with two antibiotics alone are not used for the treatment of mycobacterial pulmonary disease. The ultimate goal of treatment is a microbiological goal of treating NTM to convert sputum cultures or biopsy-proven cultures from positive to negative. Frequent sputum cultures to look for NTM. Clinical improvement within 3-6 months should be assessed. Within 12 months of appropriate antibiotic therapy, patients should convert their sputum culture and or biopsy to negative. After completion of therapy, patients should remain culture negative for 12 months. Antibiotic treatment typically continues for a minimum of 12 months after culture conversion treatment success to prevent recurrence. Rarely, surgery may be required to remove a portion of the lung. This type of surgery may be an option for those patients with localized areas of severe pulmonary disease who do not respond to the typical antibiotic regimen. A cure for NTM is possible and long-term success rates of treating this infection can be as high as 86%. If a cure is not possible, treatment may allow for stabilization of lung disease and prevention of continued lung destruction. Unfortunately, once underlying lung destruction occurs there is no cure for the structural destruction of the lung itself. Overall life expectancy for NTM lung disease can be normal. However, there are certain characteristics, which can be associated with more complications and a higher likelihood of death. In individuals with NTM with known underlying lung disease, NTM typically resembles tuberculosis only with less severe symptoms of cough, weight loss, and disease predominantly in the upper portion of the cavities within the lung (literally destruction and holes involving the air sacs). Since the mycobacteria are relatively slow growing, there may be extensive disease and lung destruction by the time it is diagnosed. In individuals with NTM and underlying lung disease, the pattern of disease usually is less severe. The typical symptoms can be a persistent cough with sputum production, but usually there is no fever or weight loss. A syndrome where the right middle lobe or left lingula area of the lung is involved is sometimes called Lady Windermere syndrome. Another form of NTM pulmonary disease is hypersensitivity pneumonitis syndrome, which is frequently associated with hot tub use. The NTM thrive in hot water especially since temperatures over 84 F (29.4 C) can cause chlorine to lose its ability to kill germs. Another name for this is "hot tub lung," and symptoms are typically cough, weight loss, breathlessness, high fevers, wheezing, and fatigue. Symptoms can worsen with each hot tub exposure. In individuals with NTM, where disease has spread, the bacteria can enter the bloodstream and cause disease in other organs and tissues. This spread of NTM primarily occurs in individuals who are immunocompromised, for example, those with AIDS or in chemotherapy. The incidence of spread of the disease has drastically reduced since the introduction of antiretroviral therapy for HIV/AIDS and the use of antibiotics in AIDS patients to prevent mycobacterial disease as described previously. Since NTM are found soil, water, and air, primary prevention has been difficult, however, there may be a future role for avoidance and prevention for those individuals who are known to be at high risk of acquiring the disease. Currently, there no consensus on prevention among NTM experts. Transmission of NTM infections in the healthcare setting can be decreased by avoiding tap water or tap water derived fluids from being used to clean surgical equipment, IV catheters, or endoscopes. Updated sterilization guidelines should be used based on known exposure patterns. Moreover, some known skin disinfectants can grow NTM and therefore they are avoided on open wounds. Antibiotic therapy can be used as a preventative measure in a certain group of individuals. Due to the high incidence and severity of disease in certain individuals with HIV infection, preventative therapy for NTM is recommended with a single oral antibiotic as a prophylactic measure. American Lung Association. Learn about Nontuberculous Mycobacteria (NTM). Grange, J. M., et al. Environmental mycobacteria. Medical Microbiology, 17th edition. Churchhill Livingstone Elsvier. 2007. Griffith DE, et al. An official ATS/IDSA statement: diagnosis, treatment, and prevention of nontuberculous mycobacterial diseases. Am J Respir Crit Care Med. 2007;175:367–416. Haworth, CS. et al. British Thoracic Society Guidelines for the Management of Non-tuberculous Mycobacterial Pulmonary Disease (NTM-PD). Journal of the British Thoracic Society. Nov 2017. Vol 72;Sup 2. Tsukamura M. Diagnosis of disease caused by Mycobacterium avium complex. Chest. 1991;99:667–9. Please share your experience with NTM lung disease. What symptoms did you have with NTM lung disease? If known, how did you get a NTM lung infection? What treatments were effective for your nontuberculous NTM lung infection? What treatment side effects did you experience?